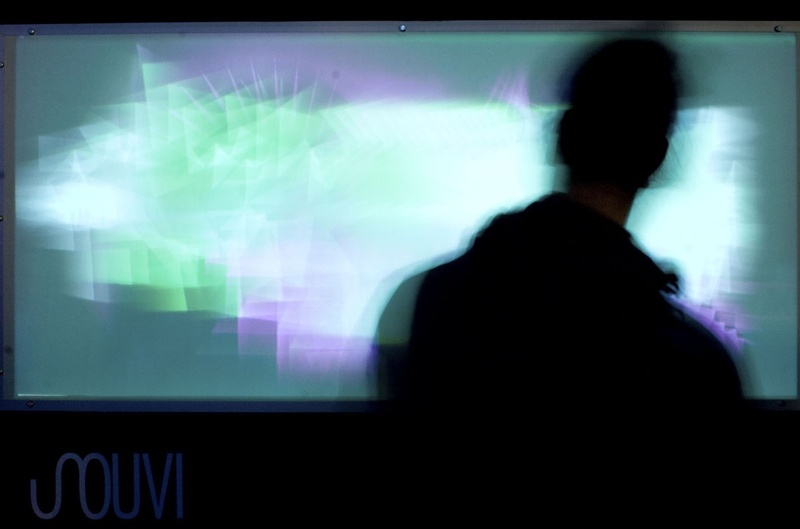 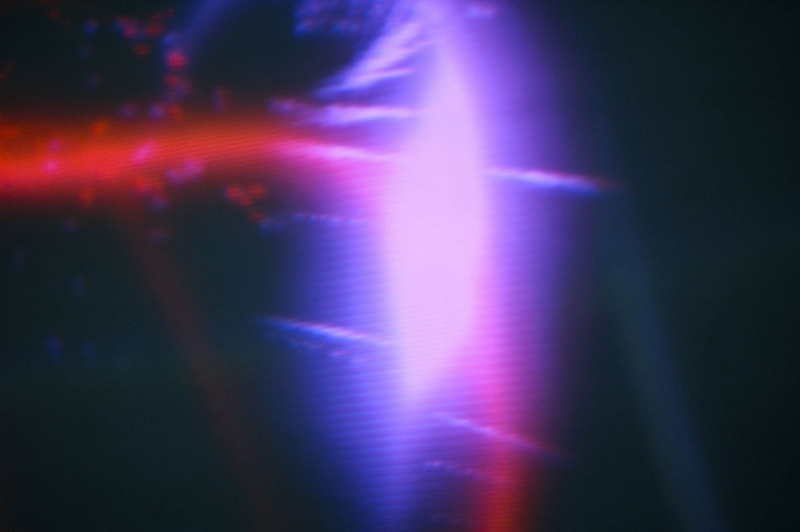 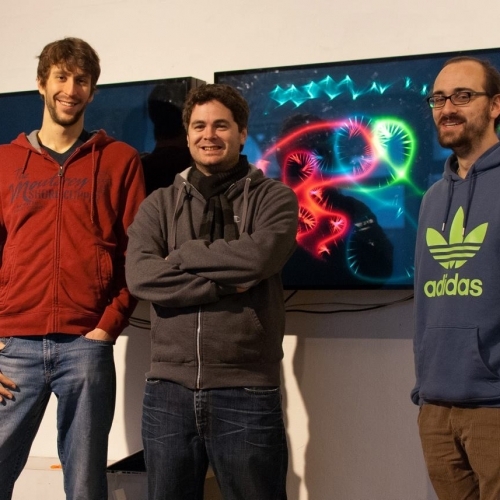 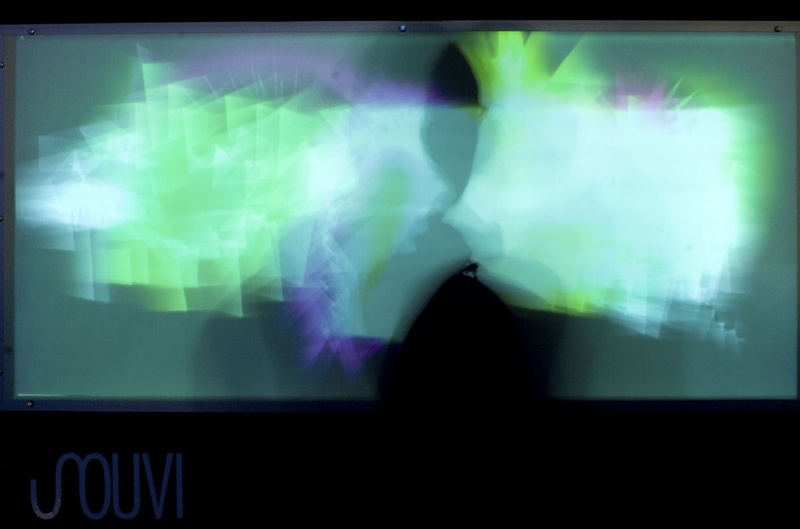 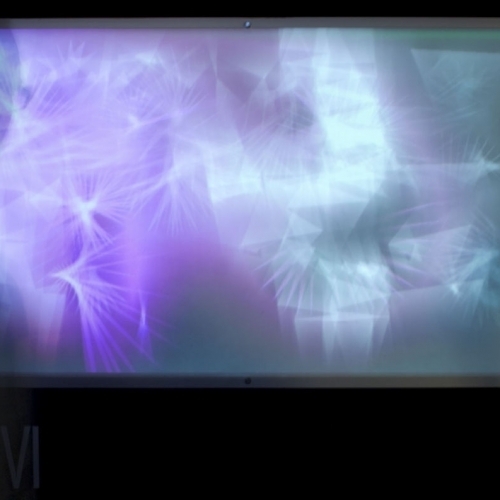 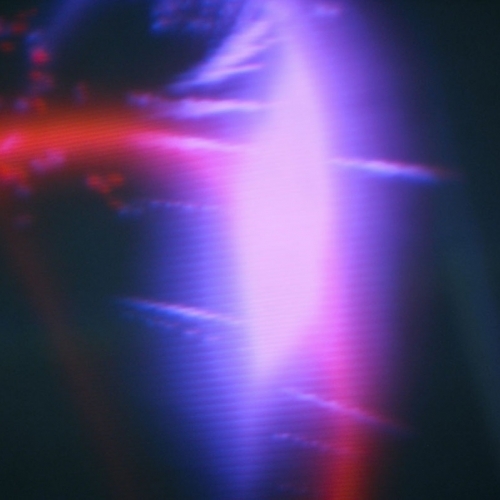 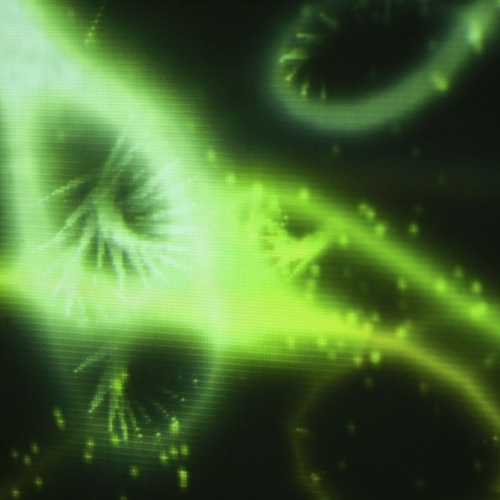 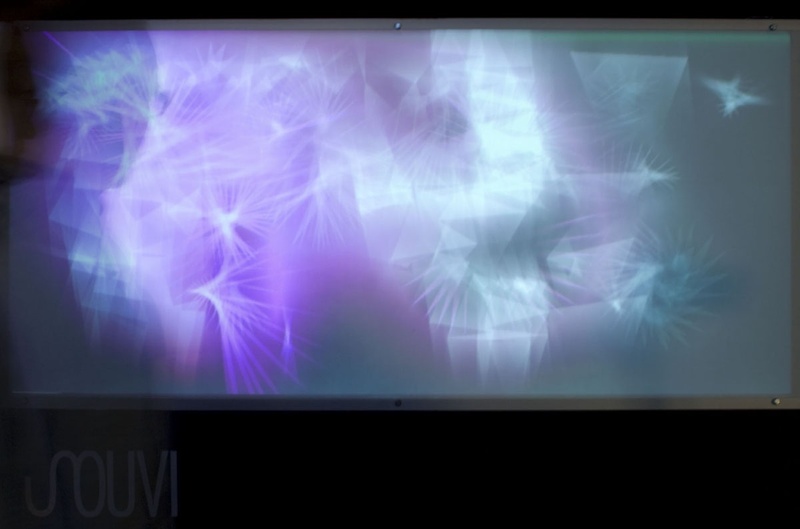 Souvi is an audio-visual installation that generates sound-images based on synaesthesia. 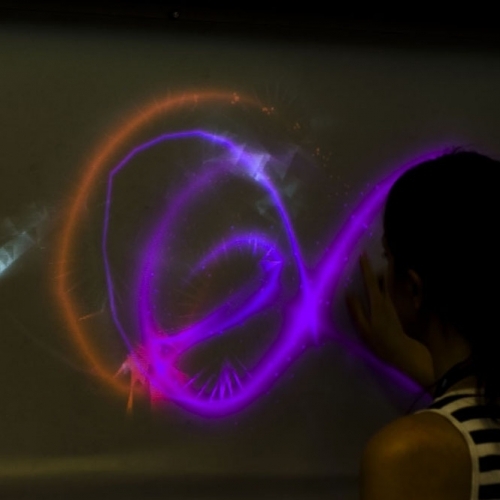 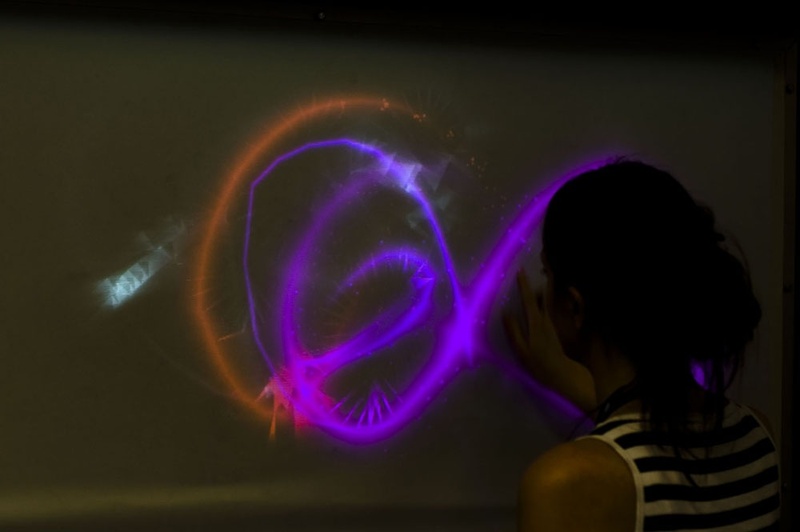 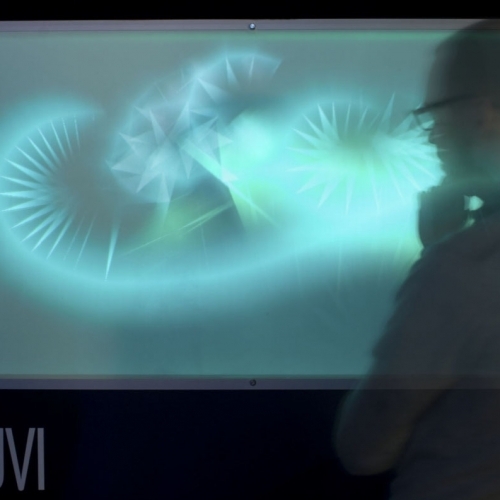 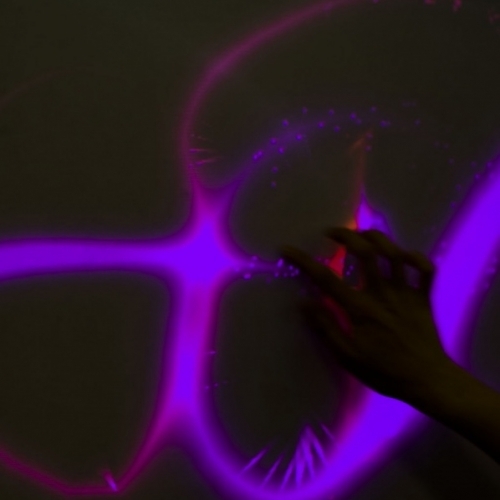 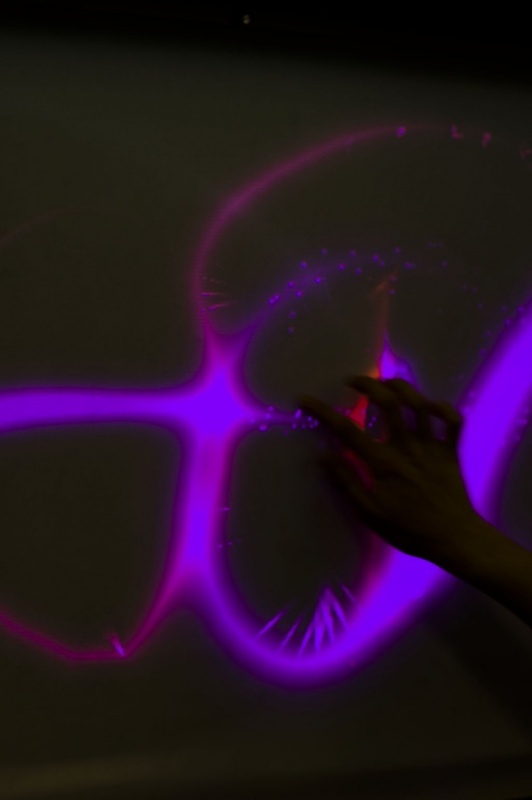 On a 1.5m wide drawing surface the user’s finger becomes a tool to explore the interconnections between sounds and shapes. 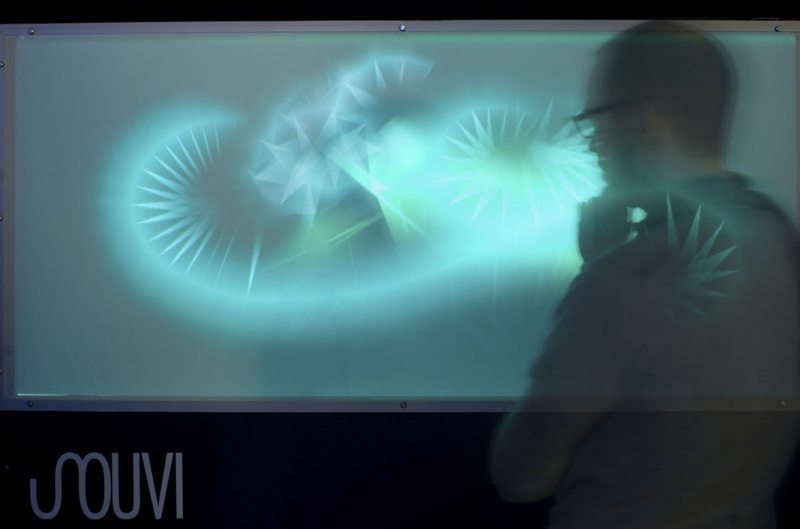 The project has been exhibited at the Technikmuseum Berlin, lab.30, Hannover Messe 2010, FMX 2010 and at the exhibitional space Damen und Herren in Düsseldorf 2013. 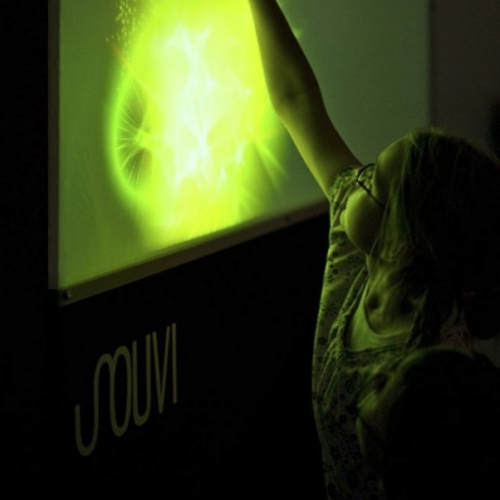 In addition, Souvi was awarded a special prize at the media art competition Ferchau Art of Engineering. 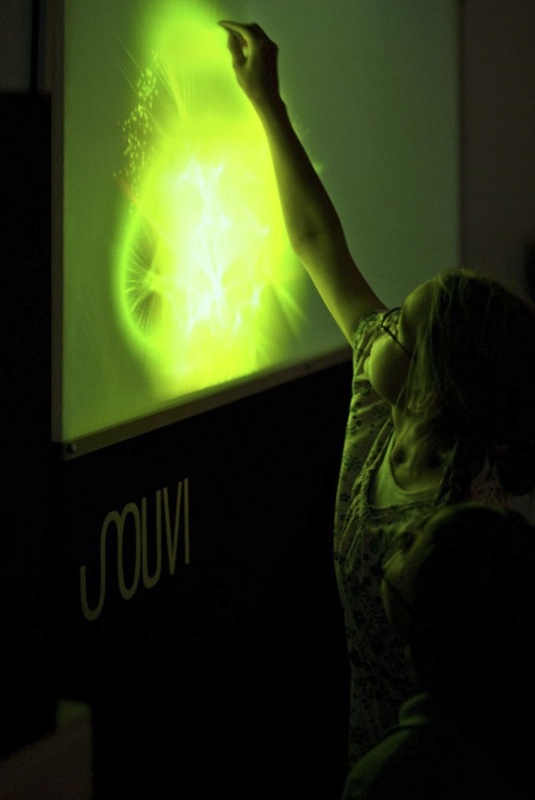 ‘souvi’ was developed in collaboration with Peter Alt, Rainer Wagner, Frank Robnik, Daniel Fontes, Veronica Hanglberger and Björn Gottwald. 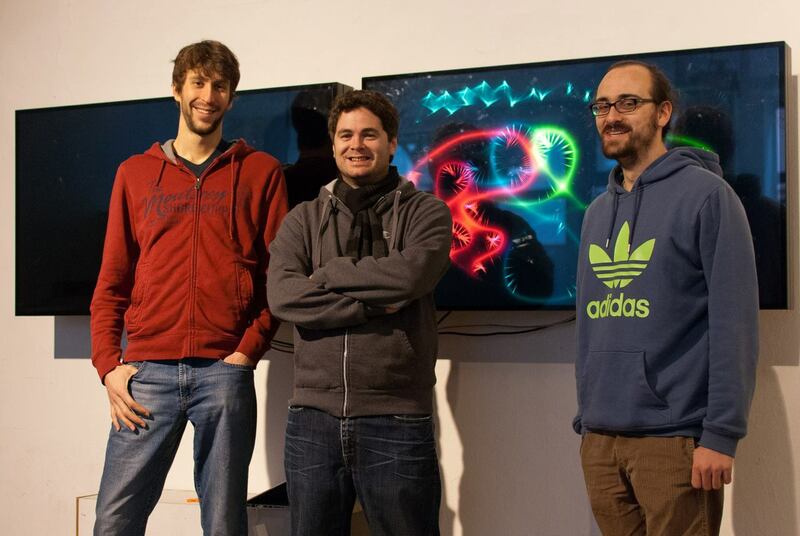 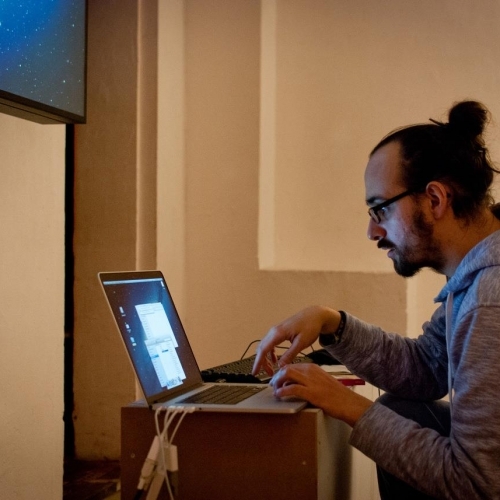 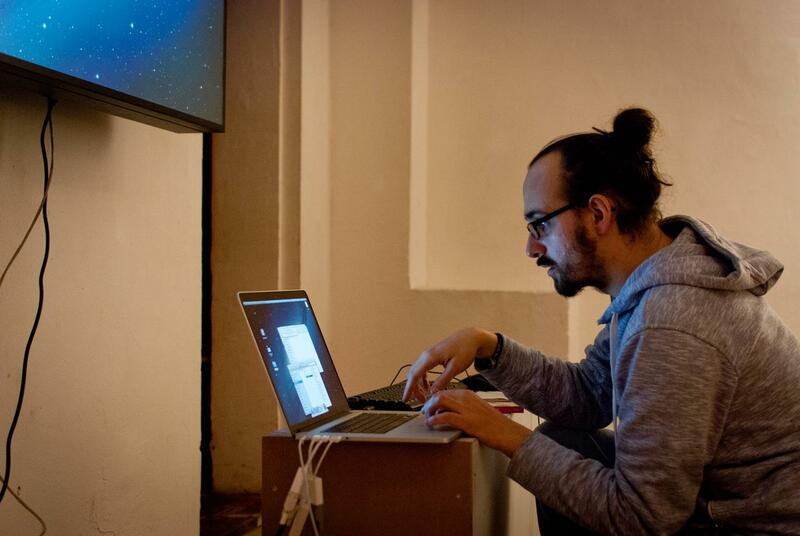 My involvement in this project consisted of the elaboration of the operating concept and mapping between visuals and sound, as well as the implementation of the sound engine. 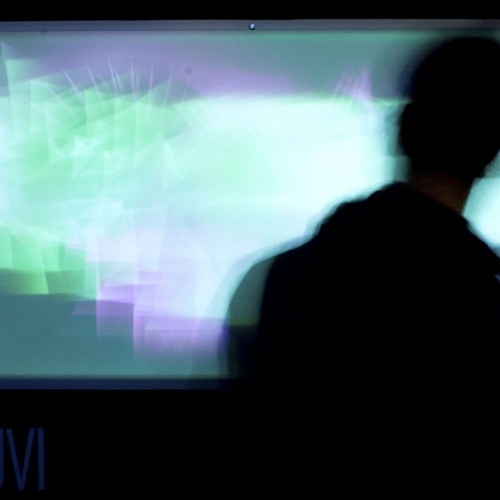 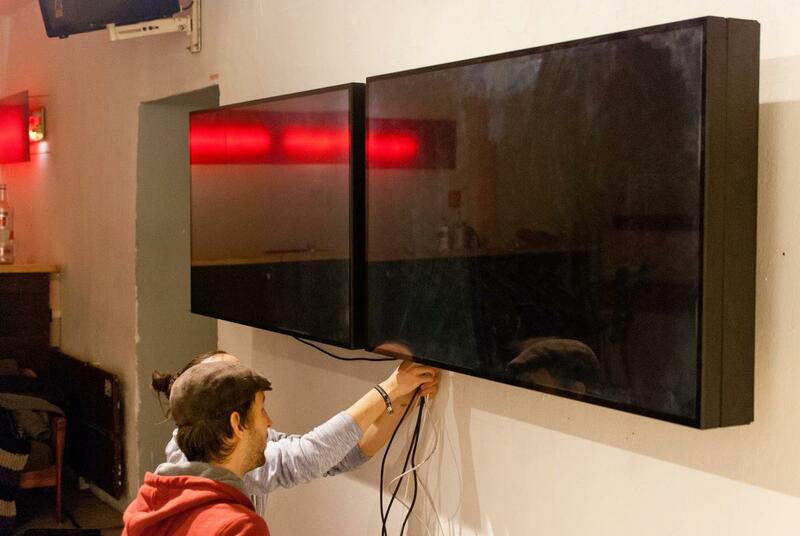 I also helped building the DIY touch screen, and the interfacing between visuals and sounds. 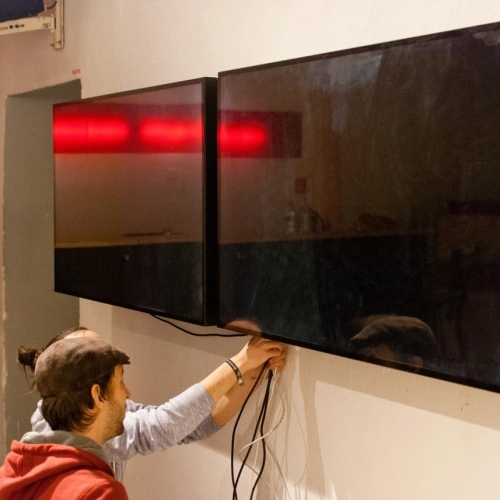 Further information can be found on the project website. 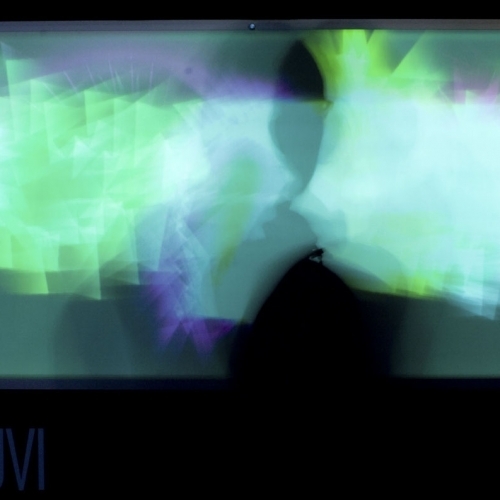 I developed the sound engine with PureData. 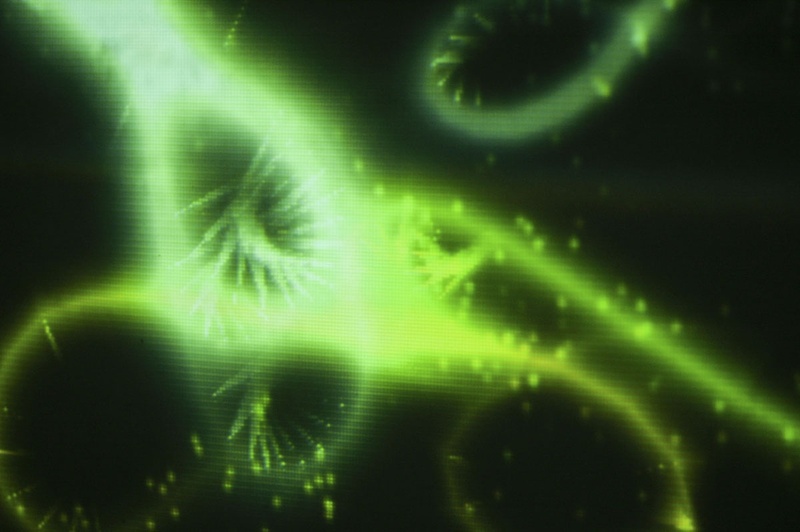 It is generally based on FM synthesis, waveshaping, sound morphing, various effects (chorus, phase distortion, revert), filters and a special logic for the control and generation of sound sculpture.